Looking for Pink Hair Extensions for Breast Cancer Awareness? I have the pink extension hair in stock. As the image show, not only does Great Lengths come in pink but just about every color in the rainbow. The hair is color fast and will not run. 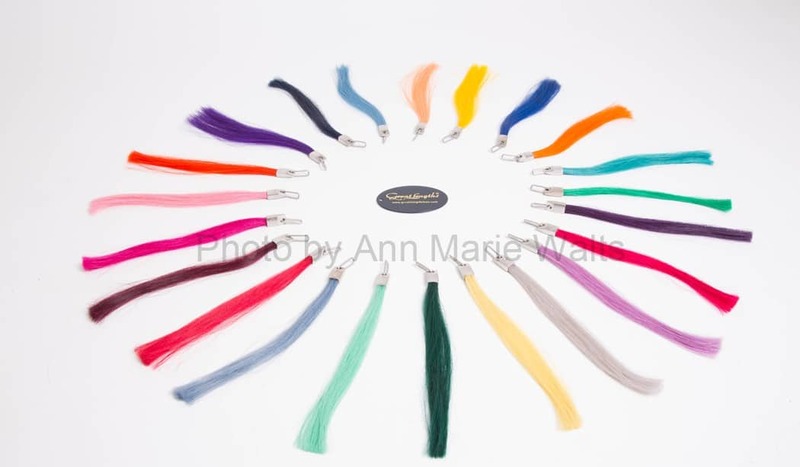 The fun vibrant hair extension hair colors are a great way to accessorize your current hair style. It is very quick way, too, change the look of your current haircut. If you need more information about Great Lengths extensions, be sure to visit my hair extension page.